Unleash the power of books on your clients and their families over the holidays! As a trusted advisor, you can become a valued resource on generational wealth transfer to your clients (and their other advisors and their clients) by offering books on the topic . . . books that will start the inheritance conversation in families. Studies show that parents are more concerned about the impact of wealth on their children rather than the amount of money the children will receive. Parents are looking for guidance in how to prepare their children to manage wealth in a manner that fosters their development and lifetime goals . . . and unify the family. Preparing Heirs: Five Steps to a Successful Transition of Family Wealth and Values by Roy Williams and Vic Preisser. Preparing Heirs is a proven resource for families concerned about the impact of wealth on their heirs and whether they are prepared for the responsibilities of wealth. Preparing Heirs explains why the majority of families lose control of their assets and family unity post-estate transfer. The book talks about the importance of trust among family members, the importance of heirs prepared for the responsibilities of wealth, and the benefits of a family wealth mission statement. Included are helpful checklists families can use to begin preparing their heirs. 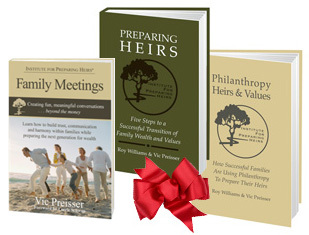 Another suggestion for a client gift book from the authors of Preparing Heirs is Philanthropy Heirs & Values. This book reveals the findings of a study of 100 families and how their family philanthropy teaches heirs about finance, accountability, mission and the importance of their family values. It is filled with examples showing how children as young as age five benefited from participating with the family in their giving program. Many geographically challenged families find the holidays a great time to meet as a family to discuss topics important to the future of all family members, including spouses. For families new at having family meetings, advisors can offer the book, Family Meetings: Creating Fun, Meaningful Conversations . . . Beyond the Money. This book, written in question-and-answer format, is a very helpful guide for setting up and holding a family meeting. 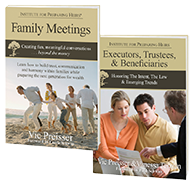 It offers sample agendas along with suggested topics and guidelines for conversations that help families make decisions together and move the family toward lasting harmony! The underlying message throughout the book focuses on building trust, opening channels of communication, and encouraging unity among family members. Add a custom label to every book you hand out. 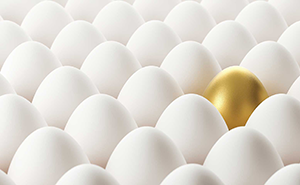 You want your clients, prospective clients, and other advisors to remember you. Statistics show that more than 90% of heirs change advisors upon receiving an inheritance. Over the long term, you want to connect with the entire family—children, grandchildren and spouses. A good start is by giving your clients a gift that has a lasting and positive impact on their families through the generations . 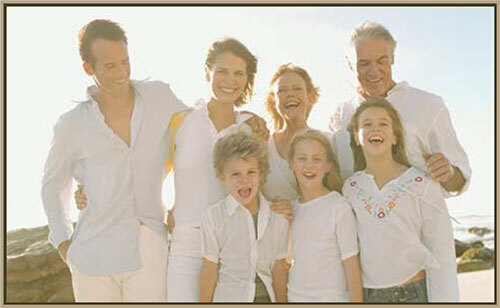 . . and leaves a favorable and memorable impression about you as their trusted family advisor. Family: The Compact Among Generations by James E. Hughes, Jr.